They’re taking away parts of my beloved public transit in Toronto. I feel like I’m losing some of my close friends. When I was a kid, it was an adventure to ride with Mom on Toronto’s buses, streetcars and subways. Now, some routes are on the proverbial chopping block and some bus services in Toronto have already had hours reduced. It’s all in the name of cost-cutting from Mayor Rob Ford and his executive council cronies to eliminate Toronto’s $774 million budget short. Mr. Ford commissioned an outside study to find services to cut and they’ve come up with a list of possibilities to the off-key tune of $740 M. Nothing is sacred. When he gets done, Toronto will not be recognizable. I am saddened. One of the bus lines recently cut back in hours is the Broadview 8 bus – one that I took with my Mom and Dad as a child. We lived a skip and a run (depending on where the bus was when you were trying to catch it) from a couple of bus stops. Today, I can take that bus as part of my route home from wherever or if I’m visiting friends in my old stomping ground, when the bus is actually running. I’m someone who not only depends on the TTC to get around, but I actually enjoy riding on a bus, streetcar and subway. The scenery is interesting and varied: outside, all those condos springing up, parks, gardens and quaint old shops along the streetcar routes in particular; inside, that lady next to me texting madly or the fellow swaying to the sound (dare I say “noise?”) emanating from those buds in his ears. There is also the nostalgia factor – not just personal, but the TTC history. TTC stands for Toronto Transit Commission but way back before even my time, Toronto’s transit wasn’t all one big service – it was several, and some were private. Do we want to go that route (pun intended) again? That’s something else being considered. The bus stop closest to 139 was just around the corner on O’Connor Drive – that is if you walked left and the TTC hadn’t moved its trademark red and white sign to the far side of Don Mills Road. If we saw the bus coming, we had to decide quickly if we could reach the stop before the bus or if racing to the next stop, one and a half blocks west, was a better choice. We were playing transit roulette, with the streetlights at Don Mills and the driver’s whim to wait for us or to continue on to the next stop. Once we boarded the bus, we continued with the rest of our travels. 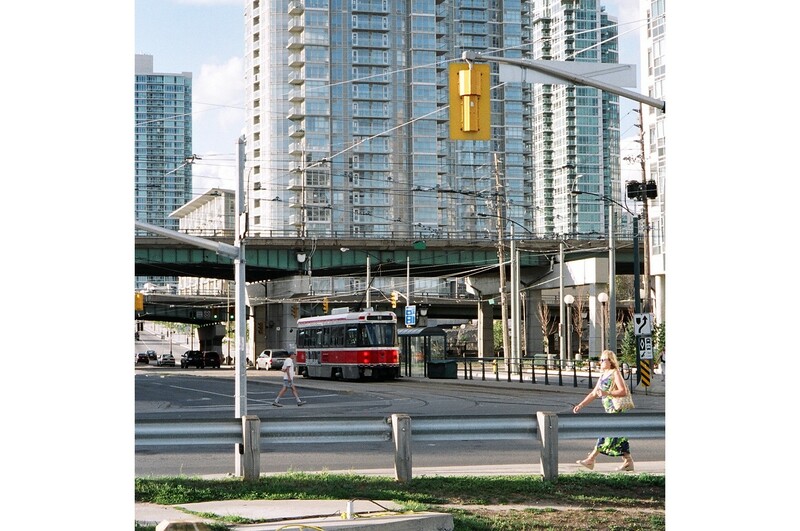 Long languid rides on streetcars out to Long Branch in Toronto’s west end. Short hops on buses to shop on the Danforth. Streetcars jam-packed with sugar-fuelled kids and yawning parents returning from a day at the CNE. Swallowing hard on a long bus ride to the orthodontist. Or doing the freezing changeover from subway to streetcar inside the makeshift wood shelter in the middle of Bloor St. east of Yonge St. All before the Bloor subway line opened in 1966. When I was 10 and 11, I wore braces on my teeth. The orthodontist had an office on Eglinton Avenue just east of Yonge St. Perhaps if we had travelled by subway, the journey might have been different, but Mom insisted on taking the more direct route. We are sitting on the Leaside bus, this time going in the opposite direction from the Danforth. As it clips across the Leaside Bridge and then diverts through the factory area on Brentcliffe, my mind and soul are elsewhere, clamped in the dentist’s chair. The dentist is tugging at my braces and picking at my teeth; my mouth is wide open and I want to retch. The bus sharp turns back onto Laird Drive. I jerk up and the contents of my stomach start to follow as far as my throat. I must look whiter than the fat in the bacon because Mom opens a window. I swallow hard, clutch my stomach and wish I were in never never-never land. The bus halts at the stop before Yonge St. I jump off, with Mom right behind me. She steers me towards an alley by one of the buildings and I lurch forward, open my mouth and pour out breakfast, lunch and snack. Mom hands me a tissue, and while I wipe my mouth and sniffle back vomit, she murmurs calming words. And that about describes how I feel about these proposed service cuts. I’m even feeling sicker about the proposed cuts to the public libraries but that’s fodder for another post or we’ll be here till Christmas 2012 (not a typo). If you want to read more about the proposed cuts to Toronto’s service, go to http://www.cbc.ca/news/canada/toronto/story/2011/07/21/toronto-service-cuts-report326.html. I’d prefer to have a bit more of a hike in our property taxes than the 3 per cent we’re getting next year and a TTC fare increase. We received no property tax increase or TTC fare hike for this year and one revenue resource – the vehicle registration tax – was given the boot. Duh. Note to Mayor Ford and cronies…potential revenue down the drain. Rhubarb follows me around. Maybe it’s in my Mommy genes. Mom grew rhubarb the width of her garden. I grew rhubarb in my Aurora garden until it dwindled from neglect. Rhubarb is in my Toronto garden – although not in its original place on the far side of the house. With the help of a neighbour, it got moved to the main garden area in the backyard – more sun and it’s in my face so I have to pay attention. The pressure cooker and a big blue-and-white speckled canning pot are steaming on the stove. Both contain water that would boil over in hell, but Mom is preparing to create her version of heaven – rhubarb and strawberry jam. I feel like the angel earning her wings as I hover nearby and try to catch her instructions drifting through the steam. “Sharon, you have to boil the jars first,” she says. “Boil the water first and then carefully put the jars in the pot.” She covers the large pot and the pressure cooker. I’m still standing away from the stovetop. The pressure cooker terrifies me. It appears like a miniature steam engine puffing away on the stove, and ready to blow up in my face any minute. “Why isn’t the lid on tight?” I ask, pointing my finger at the pressure cooker, but still remaining a few feet away from it. Mom is using the standard Mason jars, but I remember she took her chances with reusing jars that once held mayonnaise and store-bought jam. After the regular washing in the sink, she gave them the boiled-in-the-pan treatment. While a whole lot of boiling is going on, Mom opens the stairway door and retrieves a basket of strawberries and rhubarb from the steps. She carries it into the kitchen, dumps the fruit into the triangular-shaped colander in the sink, and runs water over it. She pulls out a couple of sharp knives from a drawer and goes to work on the ruby sticks. She hands me the paring knife to prepare the strawberries. I let her finish as chopping doesn’t appeal to me. Neither of us has any clue that in less than a decade, Mom’s fingers will be too curled and swollen from arthritis to chop the meat on her plate, let alone fruit for jams. All the plans and prayers in the world won’t change this from happening. But right then, I’m waiting for those jars to sterilize so I can do the real cooking – the rhubarb and strawberries. When the jars have boiled to safety, Mom removes them and stands them up on the small kitchen counter by the sink. She pours the water into the sink and when the fruit is sliced, she dumps it into the speckled pot. I stir it with the wooden spoon. The steam rushes into my face and I don’t mind that it mixes with the summer heat in our non-air-conditioned kitchen. I can see the hard rhubarb slices dissolve to shreds; then the strawberries go soft. Mom mutters something about pectin to thicken and sugar to sweeten and both land in the pot. I pay no attention to amounts; just keep stirring round and round inside the pot. “Is it ready yet, Mom?” I ask. More stirring. My right hand feels tired and my gastric juices reach high anticipation. “Wait; still needs sugar.” She pours more of the white stuff in, guides my hand in a fast stir, then says, “Ok.” She hands me a clean spoon from the drawer. I dig the spoon deep down into the pot, but most of what I collect falls off. I open my mouth wide and shove in the spoonful and . . .
Of course, not too much makes it into the jars. Mom decides to make rhubarb and strawberry pie and some of the mixture in a jar in the fridge gets spread on toast in the morning for her, Dad and I to gobble down. Today I skip the pressure cooker and mason jars. I cut up the rhubarb, wash it, toss some in a pot, add a little water, put it on the stove (medium heat), and stir off and on until it is soft. Any extra I freeze raw in bags for winter’s use – just thaw, heat and eat . Or make rhubarb pie or crisp. Anybody else have some rhubarb stories or recipes to share? My black raspberries are out in abundance. Every day I’m out there picking and picking raspberries. I learned a few summers back to dress for the occasion if I didn’t want want my arms and legs to resemble being mauled by a tiger. So, out I go wearing jeans, a long-sleeved blouse, running shoes and a floppy hat, and later dripping sweat. Mom tackled bushes, in particular, her raspberry bushes gone wild, down the other neighbour’s side of the garden and behind our garage, ready to tango with the hedge dividing garden from lawn. Mom marches out with the pruning shears and cuts branches in snips and starts. “They’re getting all over the place,” she mumbles. Snip. Snip. I watch in bewilderment, no idea how she decides. She just knows. (Excerpted from You Can Go Home: Deconstructing the Demons, copyright 2011 Sharon Crawford). I sure don’t know what I’m doing when I prune the raspberry bushes in the autumn. I prune the branches that bore raspberries the past summer because they are done. I also prune any growing too thick. Somehow, I really missed something last fall as this year’s raspberries are too bushy. Not complaining – I’m getting more berries and I’m sharing with my son and his girlfriend and my friends next door…and eating lots and freezing lots. But all this raspberry picking has taught me some lessons – many can be applied to life in general and running a small business in particular. So, here are the lessons of my black raspberries. 4. Dressing appropriately for the occasion. 5. Eating fresh berries well within the 100-mile diet. 6. 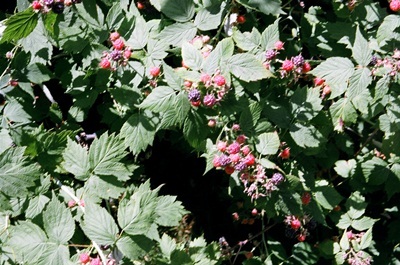 My bit for the organic movement – I don’t spray my raspberry bushes. 7. Health benefits from eating raspberries – high in antioxidants and may help prevent cancer. See http://www.naturalnews.com/black_raspberries.html for more information. 8. Health benefits from picking raspberries – the zen effect of the continuous picking of the berries and being out in the garden away from traffic – cars and people. 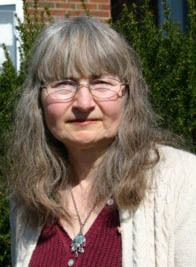 But I won’t have the benefit my late Mom had – properly-pruned bushes making it easier to get at the berries. Here’s the rub – I have many more berries to share and enjoy. Yesterday I had an experience with my bank that throws out the usual premise of “big banks, big bucks, low concern for the lowly customer.” It might have been because I was polite when I complained instead of my usual storming in and shouting. To backtrack. It was the first day after the long Canada weekend and I expected somewhat of a lineup inside the bank. I had to go in as I had to get into my safety deposit box. When I arrived, counting a couple of older adults (well, older than I am), nine people were ahead of me, including the two standing at the only two working tellers. This bank branch has four teller wickets. A third teller, a fellow I’d never seen before had the “another officer will be pleased to serve you” sign up and was busy doing whatever tellers do when they close but still have to finish up. The lady ahead of me in line told me she’d already complained – to a loan officer as the manager wasn’t in and that third “teller” with the closed wicket was really a teller. I waited in line 20 minutes and during that time counted 12 people and one dog behind me in line. The teller usually takes you to the safety deposit boxes, but because they were so busy she had another staffer do this. Clearly, he’d never done the safety box detail before and I had to instruct him. I maintained my civility with him and the tellers – none of this was their fault. And maybe deep down in my subconscious I remembered another visit to another bank years ago right after my mother died. Her pension cheque had just arrived and my godmother-aunt came with me to deposit it in my now late mother’s account. I had no idea if I could do this but my godmother said it was okay as I was just depositing it into her account, not cashing it. And I was going in as me, so my name would be on the deposit slip. In my memoir I write about this scenario. What I do remember is something else connected to money. Mom’s pension cheque for August arrived just after she died. I hold my breath, keep my mouth shut and pass the deposit slip (copy made for my records) to the teller. As she looks at it, I imagine someone, God, my conscience personified, but definitely not my Mom, shouting in the teller’s ear. The teller rubber stamps the cheque and the deposit slips, gives me one, and puts her copy and the cheque in her drawer. The key words above are “if it hasn’t already been processed.” The key word’s for yesterday’s bank incident could be “how to process.” I decided to phone head office and complain about the branch situation. No contact number was on the bank’s website so I phoned the general 800 number in the print phone book. Here a fellow told it me was the office of the president for complaining, and gave me a phone number…the French connection. Despite my French maiden name I can’t speak much French. So I left a cryptic message in English and checked online under the bank’s name and “president complaints” and found the English phone number. I phoned and a pleasant man answered and took down my information. I made it clear that I gave full marks to the two tellers who were trying to cope. He replied, “thank you.” He took my name and phone number and said he would get back to me. I expected to wait a few days but it was more like a few minutes. The problem was one teller quit unexpectedly on the Friday, the third teller was a student who could only come in for the morning, and a new manager was coming in on Wednesday. And this bank representative apologized to me for the bad service. So, is this a case of the old axiom of catching more flies with honey than vinegar? Or can bank employees – even connected to the president’s office – be polite and quick to sort out the problems? Take your pick. Now, if only my bank balance could increase that easily.